The Avg. Group Discount is 7.6%! panoramic views of the enigmatic city of old and new Dubai as well as the bustling Dubai Creek. BurJuman Arjaan by Rotana – Dubai invites guests to enjoy an exclusive level of design, luxury, style and cuisine for both leisure and business travelers alike. Set amid the vibrant and historical district of Bur Dubai and surrounded by rich culture and heritage, the renowned apartment hotel is part of a multifunctional complex that includes a shopping mall and an upscale office tower. Located just a few steps from the metro station giving you easy access to all major tourist attractions and business districts, everything is designed for your comfort and enjoyment. BurJuman Arjaan by Rotana, Dubai offers an impressive experience in every one of its 148 spacious suites. All of our accommodation has been designed and furnished with the most discerning guest in mind to ensure a memorable experience. Warm, modern and well-lit, all suites feature a separate sofa lounge, kitchenette and dining area while guests can take in panoramic views of the enigmatic city of old and new Dubai as well as the bustling Dubai Creek. To ensure a complete experience while visiting BurJuman Arjaan by Rotana, guests can enjoy a number of its 5-star facilities. Guests can keep fit whilst visiting us at our full equipped gym, relax and unwind at our child-friendly outdoor swimming or just savour in a selection of culinary delights in the all-day-dining restaurant, The Gallery. 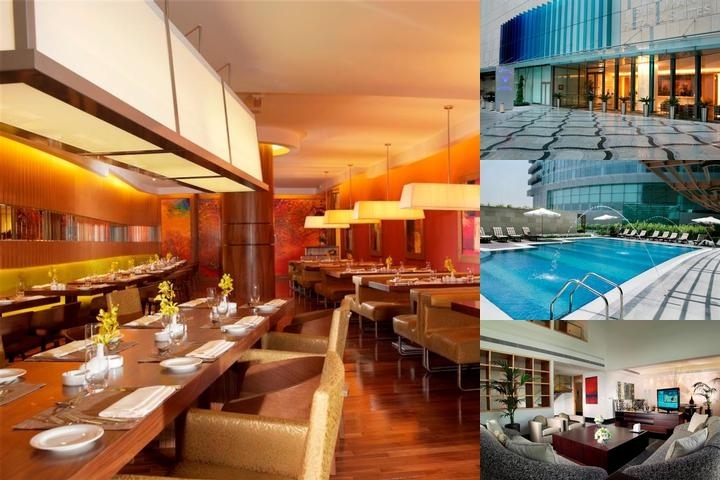 Below are the meeting, banquet, conference and event spaces at Burjuman Arjaan by Rotana. Feel free to use the Burjuman Arjaan by Rotana meeting space capacities chart below to help in your event planning. Hotel Planner specializes in Dubai event planning for sleeping rooms and meeting space for corporate events, weddings, parties, conventions, negotiated rates and trade shows. 17 x 7 x 3 M.
9 x 7 x 7 M.
8 x 7 x 7 M.
35 x 7 x 3 M.
26 x 7 x 3 M.